Happy Friday!! This week has been crazy but always I’m super happy and grateful for all the opportunities given!! 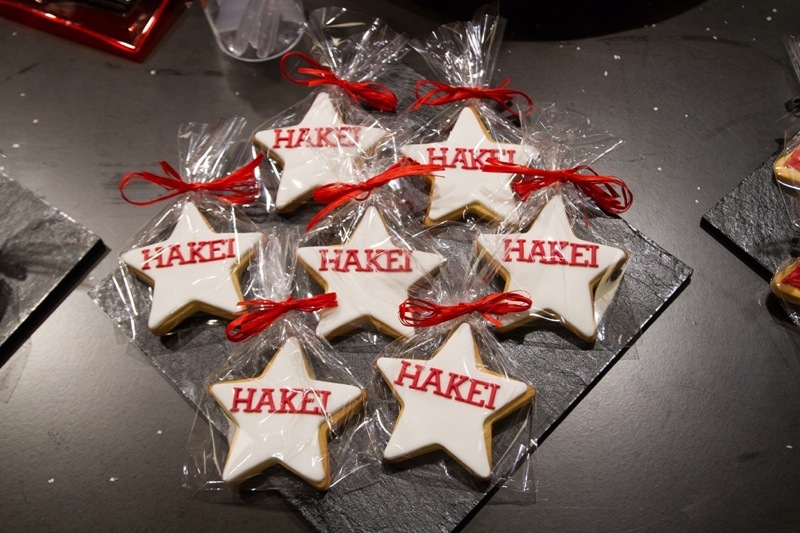 In fact, a few weeks ago Hakei, a clothing and accessories brand made 100% in Europe made a very special invitation to some bloggers from Barcelona for the reopening of their store in Rambla Catalunya. It was a fantastic evening in which they bring a part of their creative workshop to the store. Pieces of leather, inspirational images, patterns, prototypes of shoes and bags and many other things, surrounded us while they explained about this Spanish dynamic and modern brand. It was a total luxury being able to touch and see in exclusive many pieces that still in a creative process and are not yet for sale even that I’m sure that many of them will become fetish pieces since they have such a beautiful collection. But this was not all, we also had the chance to try on pieces of their current collection and enjoy a delicious catering in a great environment full of good vibes and cool music! I leave you with some images of this fun evening but don’t forget to pass by their store or shop online because for sure you will sin! Quiero agradecer a Carlota de Know How Comunicación, así como a todo el equipos Hakei por una tarde tan especial, por mimarnos tanto y por esos preciosos detalles con los que nos obsequiaron, de hecho uno ya me lo han visto aquí! I want to thanks Carlota from Know How Comunicación as well as all the Hakei team for an amazing evening and for those beautiful presents they gave us, actually one you have already seen it here. Ya han pasado por la nueva tienda de Ramblas? Les gusta su nueva colección? Le han echado el ojo a alguno de los prototipos de bolsos? Con cual se quedarían? Have you passed by the new store at Ramblas? Do you like their new collection? Have you felt in love with a bag prototype? Which one is your favorite? wooooww! No paras!!! Este evento se ve también super divertido!! Y por supuesto, tu estás radiante, as always!! Graciasss Susana!!! Si, la verdad que BCN está lleno de eventos y este due especial porque ver en primicia prototipos de zapatos y bolsos o posibles prendas de colecciones ha sido toda una experiencia! !😉 Un besote!!! Que cosas más bonitas que tienen! Seguro quue lo pasasteis genial guapisima! Siii!! La verdad que tiene cosas monísimas y lo pasamos genial!! ¡Me encanta la marca Hakei! Estoy deseando pasarme por su nueva tienda en Barcelona para conocer todas las novedades, son totales. Guapísima me encantó coincidir el otro día contigo, fue un placer. Un besito enorme y ya sabes que te espero en mi blog cuando quieras. Gracias Lorena!!! Si, la verdad que tienen cosas preciosas y más por venir!!! Un besote y fue un súper placer poder conversar un ratito más contigo tranquilamente! Thanks Susannah!! yes, it was really fun and the collection y simply great!! Todavía no he pasado por la tienda pero conozco esta marca y me gusta. Sobre todo sus bolsos. Son prácticos y los colores muy bonitos. Que bien lo pasamos esa tarde en Hakei. Como siempre un super placer disfrutarlo contigo.